After 16 years and two months in power, the B.C. Liberals have lost the confidence of the legislature. A motion by NDP Leader John Horgan, which said "the present government does not have the confidence of this House," passed 44-42, with all NDP and Green members of the legislature voting in favour, and all Liberals voting against. Immediately following the vote, the legislature was adjourned, and Steve Thomson resigned as Speaker, just one week after being appointed. In her speech right before the vote, Premier Christy Clark defended the legacy of her government and said the throne speech showed the Liberals were committed to leading a minority government. "I've heard a lot of people say we've changed. But I know leaders don't lead by refusing to adapt," she said. The dramatic vote, coming less than two months after a provincial election that ended with no party having a majority of seats, marks the first time in B.C. history that a government has lost a confidence vote. Who is B.C. Lt.-Gov. Judith Guichon? It means Clark will head to Government House and meet with Lt.-Gov. Judith Guichon and tell her she can no longer command the confidence of the house. Following that meeting — which is expected a short time after 6 p.m. PT, Guichon will announce one of two things: that she is inviting Horgan and the NDP to form a government or that she is dissolving the house, sparking another election. The timeline for her announcement, along with how long Clark will meet with Guichon, is unknown. Clark argued once again in her speech that an NDP government, supported by the Greens, would not be stable enough to function. "They know the math doesn't work. They know this house can't function without a working majority," she said. 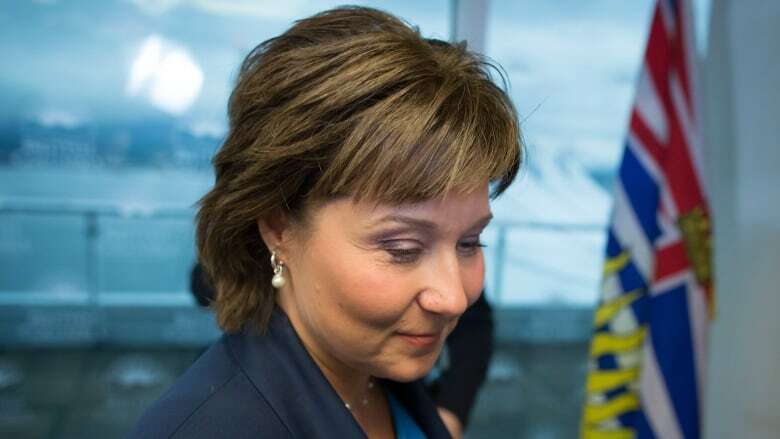 Since 2011, Clark has served as B.C. 's 35th premier. As he walked the halls back to his office following the vote, Horgan expressed confidence he would get the call to become premier of British Columbia. "It's an exciting time, I'm hopeful we'll be hearing something later on tonight," he said.